This month’s first featured video is a good one from Catholic News Service back in 2014 in which two African American Catholic leaders, Bishop John H. Ricard and Norman C. Francis, then-president of Xavier University of Louisiana (the only historically Black Catholic university in the US), give their reflections on Catholic activities in the Civil Rights Movement and their personal memories of the time. “The Church was very much, many ways forefront.” – Bishop John H. Ricard. 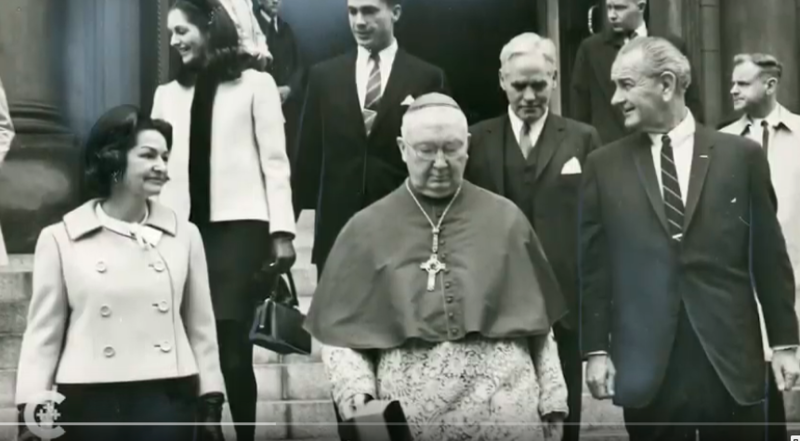 Above image: screenshot from the video in the link; “Catholic Reflection on Civil Rights Act” by Catholic News Service. Fair use.